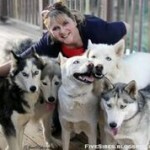 With the arrival of autumn comes a new surge of energy for us and our pets. After a summer of humidity and oppressive heat, fuzzy ears now perk up and there is an aura of excitement as our dogs step outside and feel the cool snap in the air. As the yard trees become radiant with the fall colors and shed them to the ground, the crunching of leaves only enhances the fun of playing and doing “zoomies!” Oh, what a glorious season! But, as with the arrival of each season, there are some safety precautions we pet parents need to be aware of. These characters can pop up virtually overnight and in all kinds of places, and certain fungi can be extremely toxic to our dogs. According to Preventative Vet, “Some of the most common and dangerous types of mushrooms for dogs are in the Amanita family, like the aptly named ‘Death Cap' mushroom—which, because of their ‘fishy’ odor and taste, are often very attractive to dogs. Ingestion of even a small amount of some Amanita mushrooms can severely sicken or kill a dog because of the devastating effect they can have on the liver.” Be sure to check the yard in all of the areas where your dog has access to, including under the leaf piles, places where it may be damp or hold water, along fences and buildings, shady areas, and even in window sills! Yes, windowsills! I actually discovered a hearty mushroom growing right out of my dining room window frame that took several attempts to dislodge. Our best pet tip: remove all mushrooms just to be safe. When the seasons change and we pack up all the summer furniture and toys, walk around the area to check for hidden items that could pose a danger to your dog. These could include rakes and sharp objects hidden under the fallen leaves; food from picnics or barbecues that may have fallen through the deck slats and have become moldy; or possibly pieces of bread, apples, or other foods that birds or wild animals may have dropped. Also beware of pesticide containers, old candles, and yard plants. To check on whether a plant or shrub is poisonous, visit the ASPCA’s “Toxic and Non-Toxic Plants List.” (1). Also, you can download their free Animal Poison Control mobile app (2). Keeping our dog’s water dishes clean sounds like an obvious thing to do, but sometimes germs and bacteria can be invisible to the naked eye. Just think about each time our furry best friend laps up some water, s/he is leaving behind saliva, dirt, and possibly bits of food or treats that can muck up and contaminate the water. Our best tip is to use stainless steel water dishes (never plastic) and be vigilant about giving them a daily deep clean and replenishing the fresh water often. The start of autumn is also a great time to take inventory of your dogs’ outdoor beds. Do they smell or is there any mold on them? Do they need a few stitches to mend some tears? Or, maybe they are past their prime and need to be replaced. When a new season starts, Ii’s a great time to give all bedding and blankets a once over. Be sure to check your dog’s ID, medical, and microchip tags. Can you read the information, or is it worn off? If the latter, order replacement tags. Also, be sure to check with your vet, area municipality, and microchip company to be sure all of your dog’s information is current. What better time to prepare for when the snow flies then now? If your dog wears booties or a coat, check that they fit and are in good shape. If you use a paw protectant, check to be sure it is still fresh. It is also a great time to stock up on pet-friendly, non-toxic ice melt. 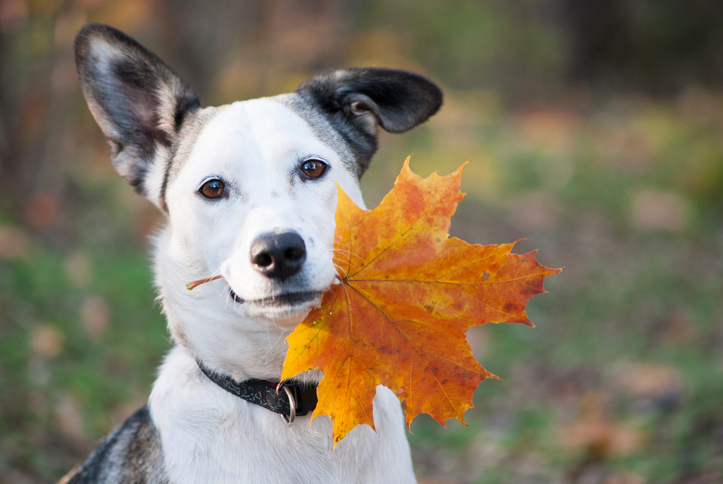 By giving your dog’s yard and cool weather essentials a good review, you both can enjoy the glorious days of autumn!